Getting into medicinal herbs and herb gardening can be a very fun thing to do, if you know where to start. Some of the medicinal herbs out there are worth a lot of money as well as being extremely effective for certain ailments that are experienced by the human population. If you are new to this practice and hobby, the best thing to do is to talk to an expert grower that has been doing it for years. The reason why we say this is because there are many different techniques and ways to grow medicinal herbs. There are also several factors that can affect the way that these plants grow such as temperature, climate, and altitude. Having an experienced grower in your area consult with you will not only give you great information, but it can get you very excited about getting started. Once you have gotten some advice on growing, it is time to decide on what types of herbs you will grow. If you are getting into this hobby to make money, it is important to research the plants that are worth the most money in your area and to also analyze the demand for them. Another thing to make sure that you check is the legality of plant species for the state you live in. The reason why this is important is because not every state allows the growing of certain medical plants. 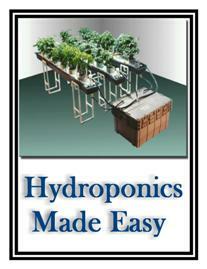 Many states require growers to become licensed as to be able to track the herbs that are grown for medicinal purposes. Doing your due diligence will protect you from legal recourse and will help you to get more business in the long run. If you don’t have a garden to grow your plants, make sure to create one in an area that gets plenty of sun and water. Many people who grow plants for business usually always create a greenhouse in order to keep a constant climate for the plants to ensure proper and maximum quality results. Creating a greenhouse can be done on any budget as the materials are cheap. The biggest thing is making sure that you have the space to accommodate one. Once you have done your research and have created an effective growing station, it’s time to let the fun begin and start planting. Growing these plants is very fulfilling as you will be able to nurture plants throughout the entire maturation process until they are used for the end results which is to help people reduce the pain and ailments that they are suffering from.